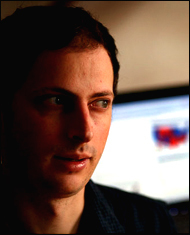 Nate Silver is the proprietor of FiveThirtyEight.com, where his statistical wizardry (and common sense) during the recent elections made him the biggest new political star after a certain family named Obama. He didn’t do quite so well on the Oscars but, really, do we care? The best news is that he is working on a couple of books. We will look forward to them. In the meantime, Nate has agreed to answer our FAQ’s. (For those of you grumblers who say, God, you shouldn’t have asked him that, or you should have asked him this — well, they are FAQ’s, and they are the same for everyone.) Enjoy. Q: On my deathbed, I will wish that I had spent more time on _________. A: Finishing Grand Theft Auto 4. Q: On my deathbed, I will wish I had spent more money on __________. Q: What do you consider your greatest accomplishment so far? Q: What was your best accomplishment by the time you turned 16? A: Taking second place in the 8th-grade standing long jump in spite of having my shoes untied. Q: What’s one goal you’d still like to accomplish? A: Writing a book that sells 40 percent as many copies as Freakonomics. Q: What is your net worth as a ratio of your parents’ net worth at the time you were 16 (adjusted for inflation if possible)? A: I have no idea. 3:2? Q: What is the best investment you made in getting to where you are today? A: Learning how to play Texas Hold ‘Em. Q: What’s the best financial investment you’ve ever made? The worst? A: Renting my apartments (instead of buying them). A Banana Republic credit card with a 22 percent APR. Q: What talent have you always wished you had more of? A: The ability to suffer fools. Q: What’s the last book you read cover to cover, and what percentage of the books that you buy do you read cover to cover? A: The Return of Depression Economics, by Paul Krugman. And 40 percent. Q: What do you most often lie about? Q: Fill in the blanks: I ___________ too much or too often; to avoid this, I tend to ___________. A: Read blogs. Keep reading blogs until I get sick of them. Q: What is your biggest regret in life? A: Spending four years of my life at a job I didn’t like. Q: If you could have any job in the world for one day, what would it be? A: President of the United States — but only if I had a ‘reset’ button in case I f—ed something up. A: The ability to solve The New York Times Sunday crossword … without Google. Q: How much would you sell one of your kidneys for? A: $0. Or infinity. But no number in between. Q: What’s the most expensive piece of clothing you’ve ever bought, and why did you buy it? A: A roughly $750 suit, for a friend’s wedding. Q: Would you rather win a Nobel Prize, an Olympic gold medal, or the Megabucks Lottery? A: Gold medal in 100-meter dash > Nobel Prize > gold medal in archery. Q: How much is too much to spend on a cup of coffee? A: $4. Unless it has whiskey in it. Q: What do you collect, and why? A: Broken laptops. Because I’m very good at breaking laptops. Q: What is one item you own that you should probably throw out but never will? Q: New York or California? A: New York City > Los Angeles > Albany. Q: What will eventually lead to humankind’s demise, and when will it happen? A: The Yellowstone Caldera in A.D. 52,145 … if we don’t burn the planet to hell first. Q: What’s the best possible future discovery or invention? A: Watching The Price Is Right on a snow day. I am so glad to see I'm not the only one with difficulty finishing books. Can we make a guess at what proportion of non-fiction (especially business strategy) books are 60% too long? There was a website I ran across - I can't recall the name - that was offering Cliff's notes for the most popular business titles. I love that idea. Fiction, however, I finish every time - even if it's a subpar book. I sort of admire these people--I read almost everything cover to cover. Often, even magazines. It's a wasteful habit as far as time and utility, but I have this tick about not leaving things unfinished. Nate's 40% is surely much more efficient in just about every manner. Loved the questions, loved the answers! Actually, I love this blog - I'm from Brazil, and this is the most accurate update I have on America. For example, I did not know who Nate Silver was until now... sorry! We don't get these kind of news down here. But most interesting, thanks for the great read and few laughs! Good stuff. Pecota is remarkable. In my other life, I breathed every statistic involved with baseball. Once I quit Strat and Roto, a more normal life transpired. A money-saving tip for those with similarly low books read to books bought ratio: check out your local library. I'm saving hundreds of bucks a year now. When asked in 2009, "Q: What is your biggest regret in life?" Silver responded "A: Spending four years of my life at a job I didn't like." With the source quoted as this interview. The circularity is making me dizy! That last answer is perfect. i have so many happy memories of being at home watching the price is right on a snowday.